Text by Tim Logan; 2017 photographs by David L. Ryan. 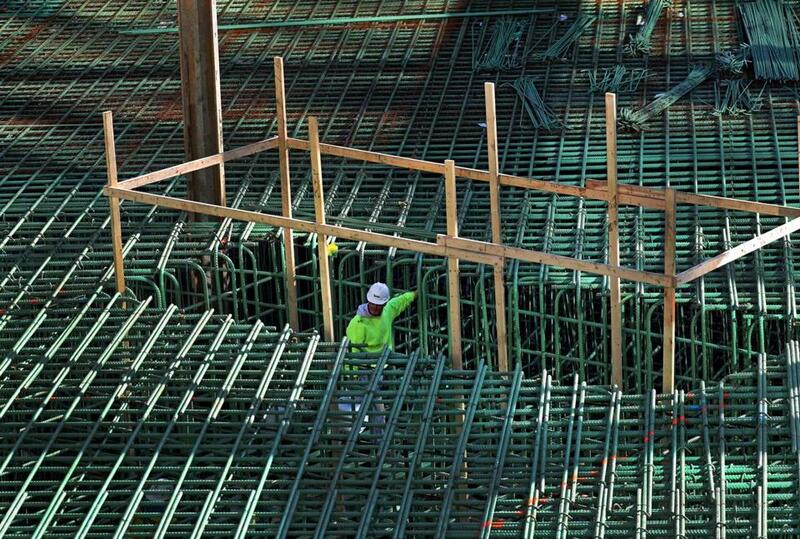 Seemingly overnight, a new neighborhood is going up along Seaport Boulevard. Piece by piece, floor by floor, one building after another is being cobbled together. 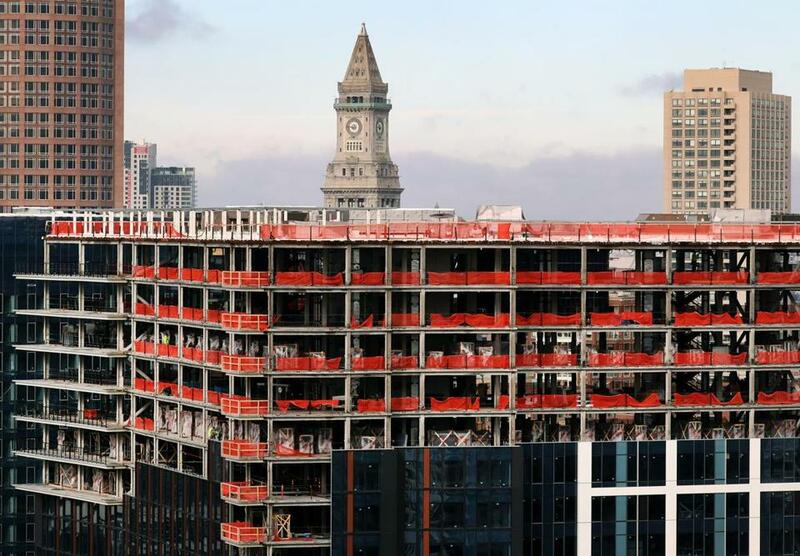 More than $1.5 billion worth of apartments, condos, storefronts, and office space is under construction in the Seaport right now, all within the span of a few blocks. Another $850 million in projects is set to break ground soon. That means a lot of steel, glass, and jobs for many, many construction workers. And when it’s done, there will be thousands more people living and working in a place that, not so long ago by Boston time, was little more than a giant parking lot by the sea. We spent some time there lately, documenting the work before it’s all finished, and remembering what it used to look like. This is what we saw. An aerial view of Commonwealth Pier, Pier Fourm, and Fan Pier from February 1982. 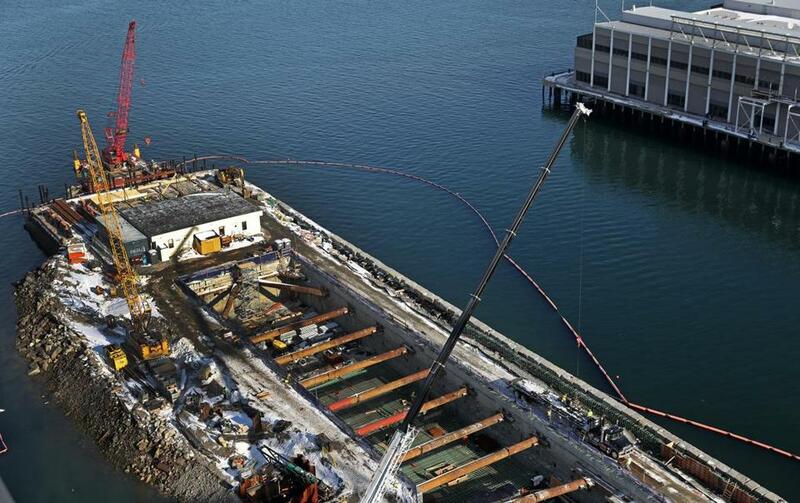 The foundation of a new development at Pier 4, where work is underway on a nine-story condo building, designed by SHoP Architects and CBT, and a 13-story office building designed by Elkus Manfredi. 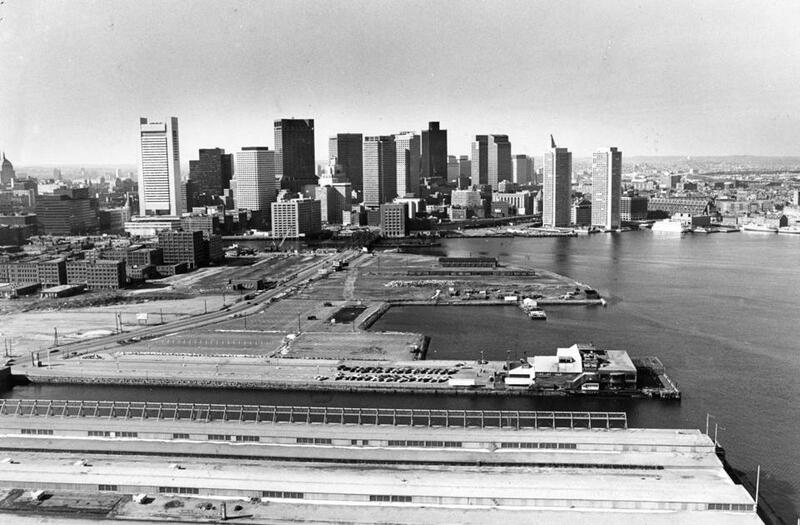 A trio of buildings developed by Skanska USA — 121 Seaport, 101 Seaport, and Watermark Seaport — line Seaport Boulevard, which connects Boston’s historic Fort Point neighborhood to the contemporary Seaport District. 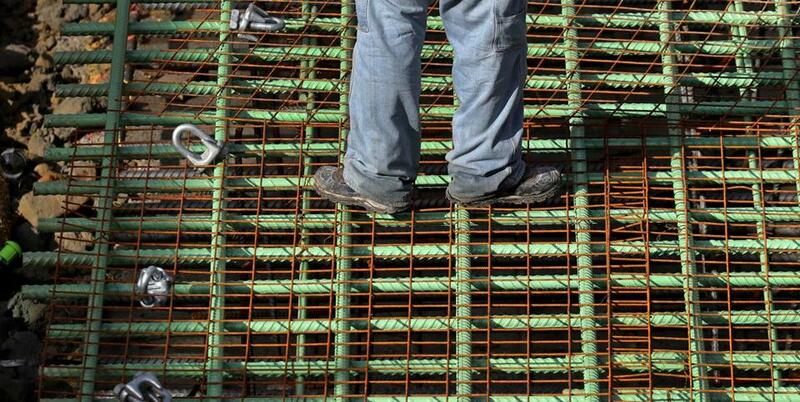 A worker stood below steel reinforcement bars at Pier 4, where Tishman Speyer is developing two buildings, one office and one luxury condos. 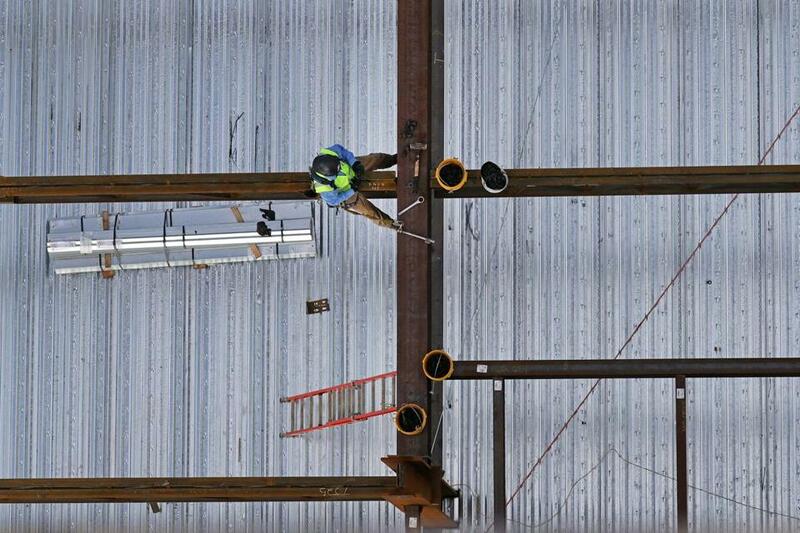 An iron worker sat on a steel beam at 121 Seaport. 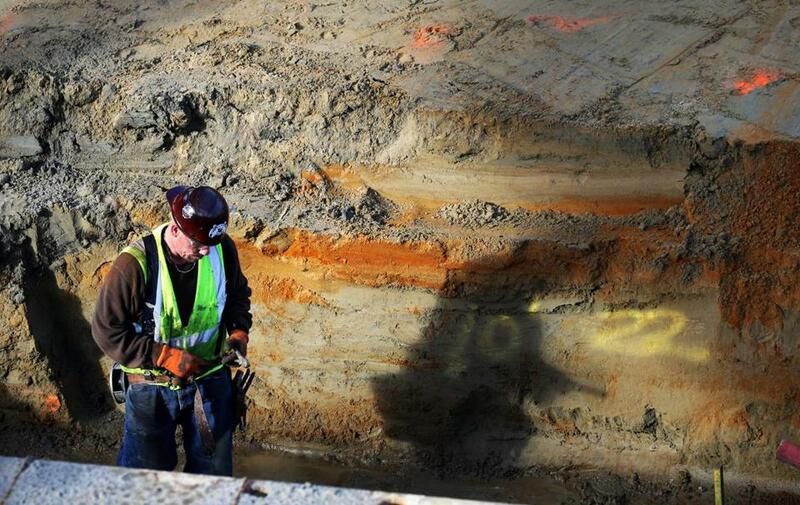 A construction worker was deep in a mud pit along with his shadow at the Pier 4 consturction site. 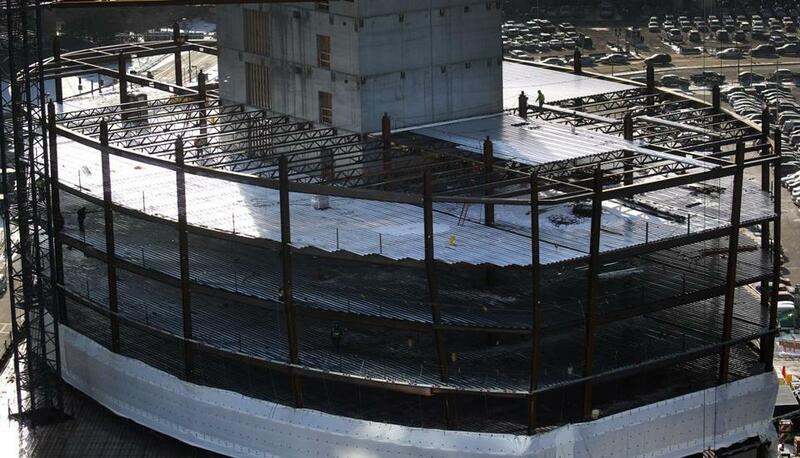 The project at 121 Seaport, a 17-story office building being developed by Skanska USA and designed by CBT Architects. 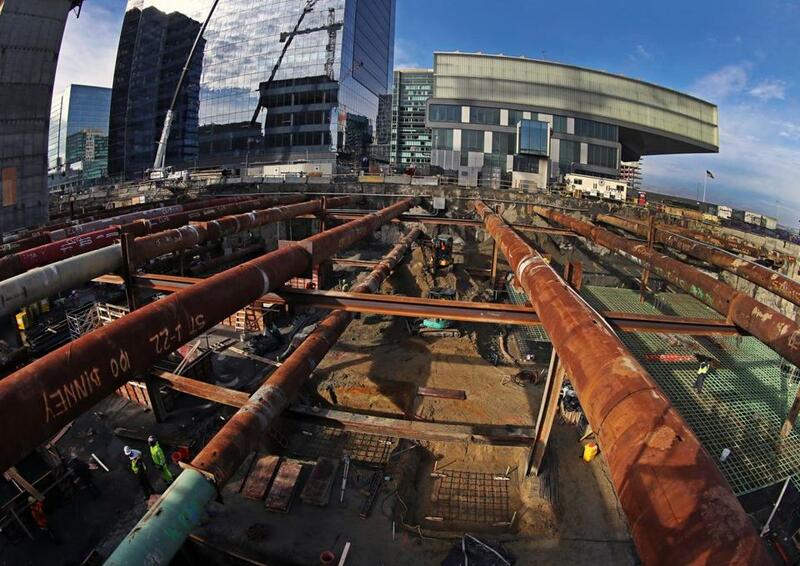 A pair of new apartment buildings are under construction at One Seaport Square. 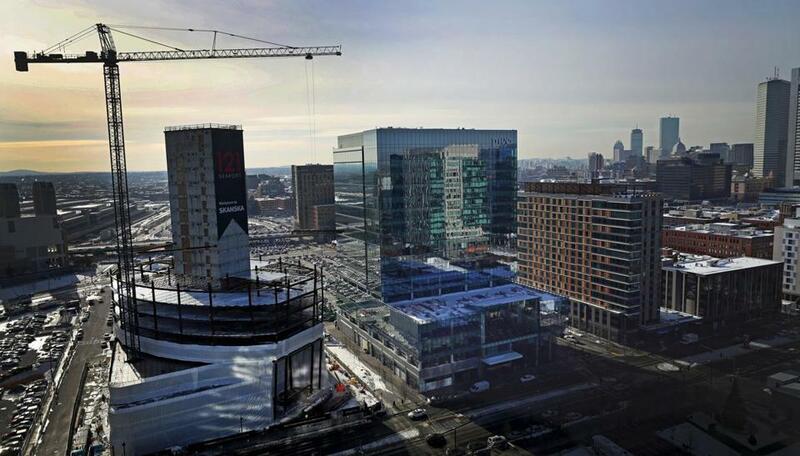 With 832 units, the complex is the largest residential development in Boston in more than 30 years. 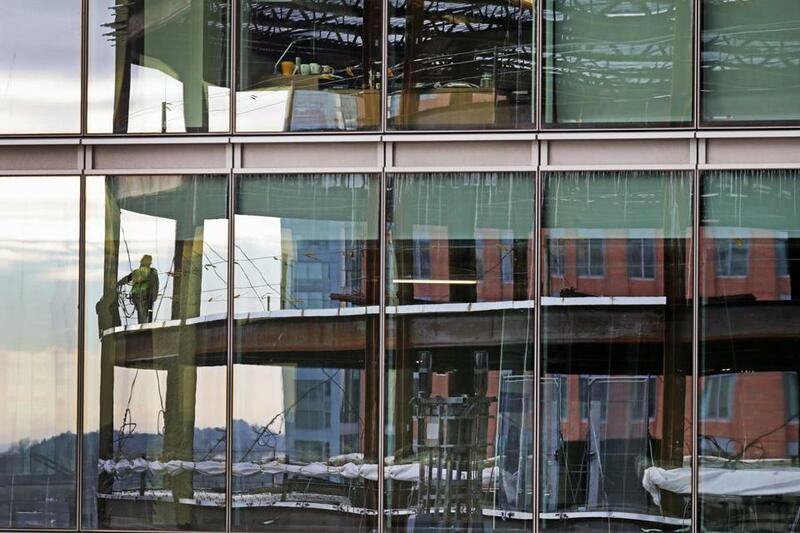 Workers on 121 Seaport, a 17-story office building being developed by Skanska USA and designed by CBT Architects, reflected in the glass walls of 101 Seaport, Skanska’s recently-opened office building next door. 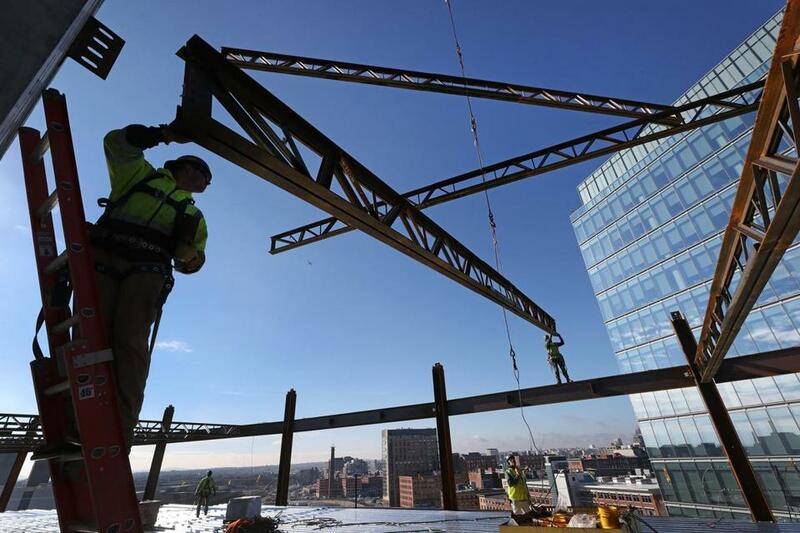 Steel beams being set at 121 Seaport, a 450,000-square-foot office tower that launched construction in the summer of 2015.